We love food here at The Luxury Editor and we think we know a thing or two about it! Combine our passion for cuisine with one of the most vibrant cities we know and you are in for a treat. Come with us and explore the exciting Glasgow culinary scene, from contemporary Scottish favourites to globally-inspired small plates, we know the best restaurants in the city for all tastes. Have you tried any? Also looking for luxury hotels in Glasgow? Tucked away on cobbled Ashton Lane in the heart of the West-end, it’s a delectable feast for the eyes and taste buds. 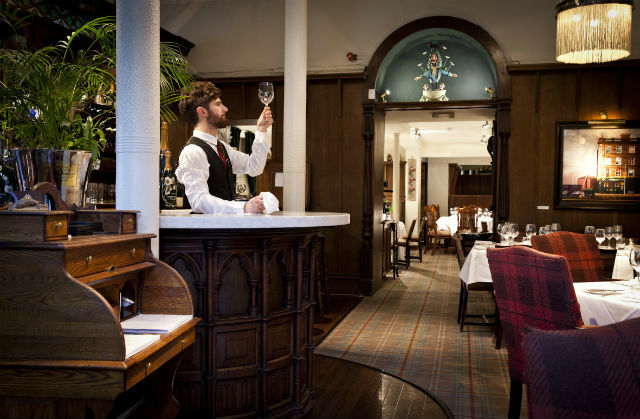 This famous Glasgow icon, now 40 years old, continually strives to break down the formalities of top-end fine dining while creating stunning food in a relaxed atmosphere. Whether in for a light lunch or formal dining experience, both the main restaurant and brasserie menus will impress. Inspired by the abundance and variety of the Scottish larder, they showcase the best of the season in creative and sumptuous ways. Highly prestigious and always striving for the best culinary experience, diners will never be let down by the high standards they place on themselves. Don’t forget to spend some time looking at the art that surrounds the wall. Created by patrons and past staff alike, you’ll find it’s a who’s who of impressive and prominent Scottish artists. This restaurant is somewhat of an institution in Glasgow. 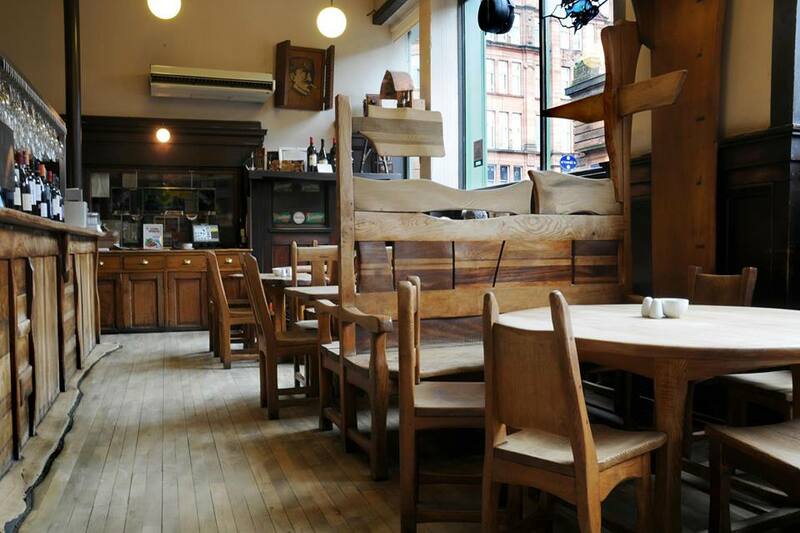 Having opened in the Merchant City before the area was the buzzing hub it is today, Cafe Gandolfi was formerly a cheesemongers before becoming one of the most popular hotspots in the city, particularly at lunch thanks to the surrounding offices. The owner even claims the cafe brought the city its first espresso machine – a trendsetter indeed! The artfully rustic furniture and woodwork designed by local artist Tim Stead, the relatively un-updated decor, and the walls peppered with old fashioned pictures of the city, makes Cafe Gandolfi stand put amongst many of the hipster contemporaries in the surrounding area. Serving up hearty season and locally source produce you can expect Scottish classics such as Cullen Skink, Haggis, Arbroath Smokies and Smoked Venison on the menu here. Cafe Gandolfi doesn’t claim to be anything it’s not and it’s unchanging nature makes it popular with locals and visitors alike (and gets it on this list!). 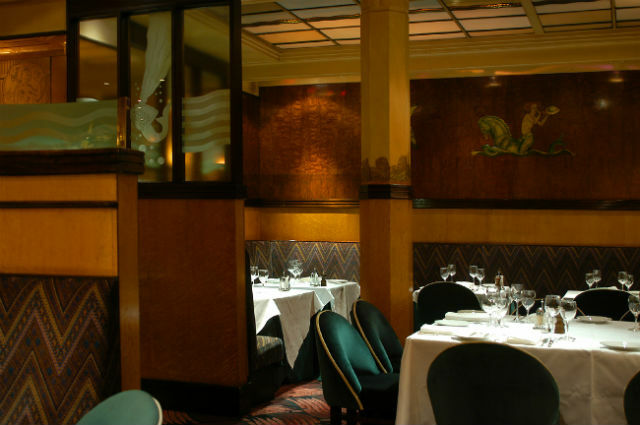 Fitted with original Art Deco design when it opened in the 1930s, this well-known seafood restaurant in the city centre is 75 years old and still shines with exuberant style. Dedicating themselves to cooking and presenting the finest of Scottish seafood, it’s a style and culinary icon you shouldn’t miss. Whether you sit in the elegant restaurant, hurry in for a snifter and sandwich in the Oyster Bar or scoff a light bite at Cafe Rogano, you’ll not miss out on the ambiance, taste sensations and atmosphere of Rogano. This multi-award winning Scottish restaurant is in the heart of Glasgow’s up and coming foodie haven on Finniestoun. The menu celebrates the best in Scottish produce and regularly changes to reflect the seasons. The stripped back, almost un-finished decor with exposed brick walls and iron and wood furnishings create a relaxed atmosphere almost reminiscent of Brooklyn and not Glasgow. Whilst the space may be laid back, the food is ambitious and the restaurant boasts and in-house butchery, smoking house and charcuterie. The menu is short but well-edited and vegetarians won’t be disappointed as the choices are more imaginative than most. What started out as an idea on a trip to the Hebrides, has been creatively delivered in a transformed tenement building in the city’s west-end. A gannet you might be called when you can’t stop eating at this great restaurant! This highly acclaimed restaurant has deep roots in the trendy West-end. From their award winning haggis to luxury fish suppers, Inverurie lamb and Perthshire pigeon, foodies will enjoy the best of Scottish cuisine. But, with a motto like ‘Think global, eat local’ it’s no surprise their menu showcases ways to use Scottish produce to create globally inspired dishes. Whether you have a fine-dining experience downstairs, grab a pint and a plate with mates in their cafe bar upstairs or sit down to a weekend brunch, you won’t want to Stravaig away from your delicious and lush plate. There may be two ladies, but there are three separate restaurants in Glasgow that serve splendid seafood and Scottish cuisine. 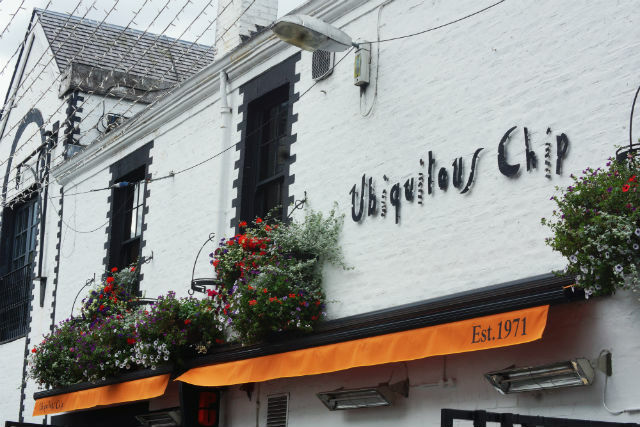 Whether you go to the institution that is the Buttery, bathed in oak and mahogany, stained glass and tartan carpet, eat in the City with its underwater theme, get cozy in the Shandon Belles snug under the Buttery or chill in the intimate and always busy Two Fat Ladies West-end, you won’t be disappointed. Relaxed fine-dining is at the heart of the Ladies empire, serving simple, honest and beautifully cooked dishes. This restaurant received a Bib Gourmand commendation within the first year of it opening and so it shot to local fame pretty quickly. 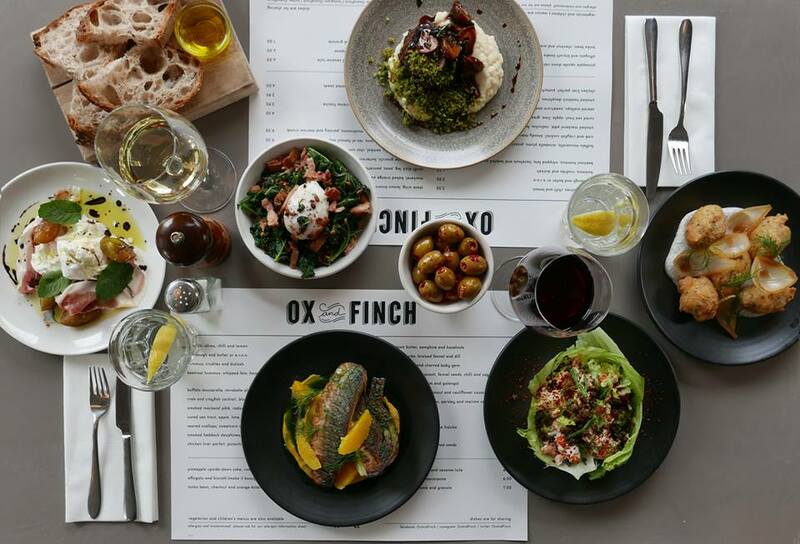 Taking on a popular tapas-style format, serving up a whole host of inventive ‘small plates’, Ox & Finch is now a stalwart of the city’s burgeoning foodie scene. 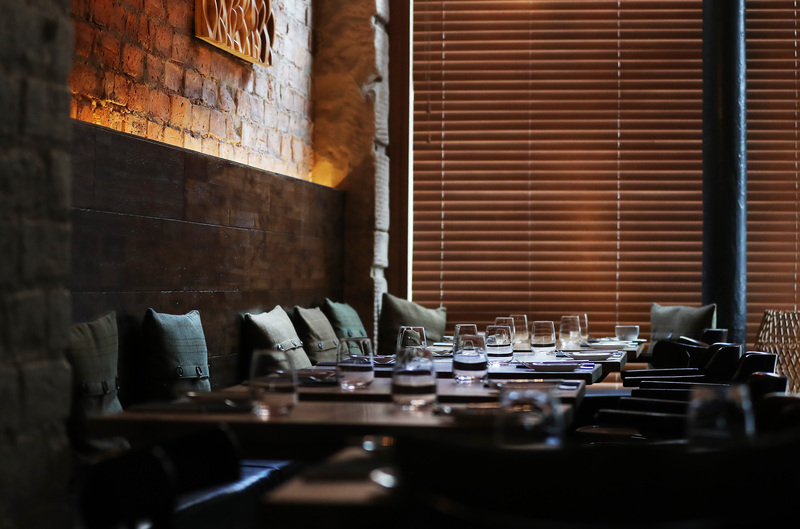 Stripped-back brick, black tiled walls, leather booths and roughly painted floors add to the casual feeling of this space, but don’t let the paper menus fool you. Mediterranean meets Scotland at Ox & Finch with dishes packed full of flavour and exciting ingredients from rabbit and ham hock, to foie gras and spiced scallops. Forget starters and mains, dishes are all small in size and arrive when they are ready and don’t miss out on their deserts! 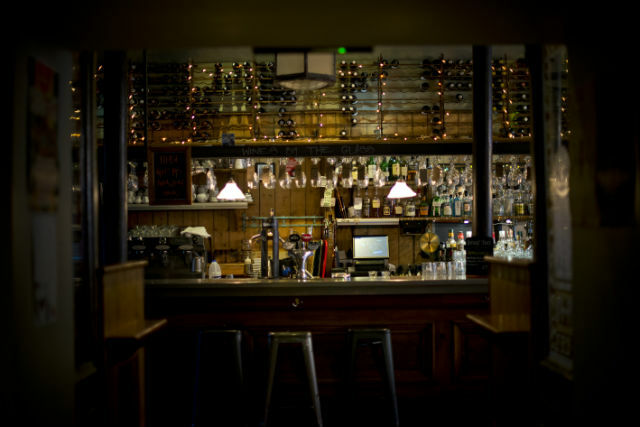 This is a buzzing venue that is busy most times of the day so definitely book ahead. This is a restaurant that works to create consistently outstanding food with a real attention to detail. 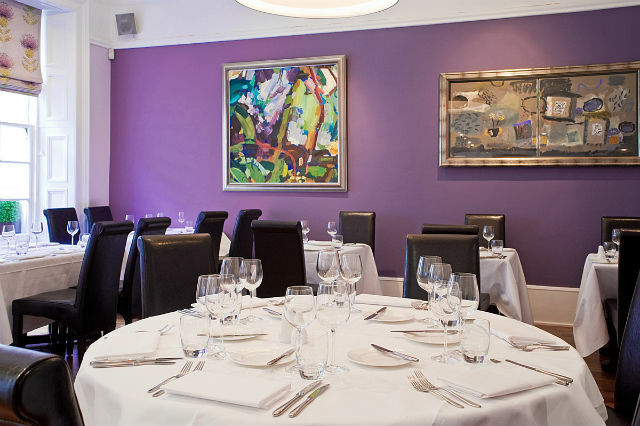 Located in a converted townhouse in the centre of Glasgow, the lavishly polished floorboards, beautiful abstract art adorning the walls and fresh roses on each table make for a formal dining experience without the formality. Brian Maule creates culinary masterpieces of complexity and accomplishment. Taste the richness of foie gras, the sweetness of hand dived scallops, and the luscious flavours from the many varieties of game on the menu. More than just a nice restaurant, this is a luxurious dining experience perfect for sharing, and won’t break the bank.